I can almost hear that collective groan from here – not another few hundred words about the Victorian novelist Charles Dickens. 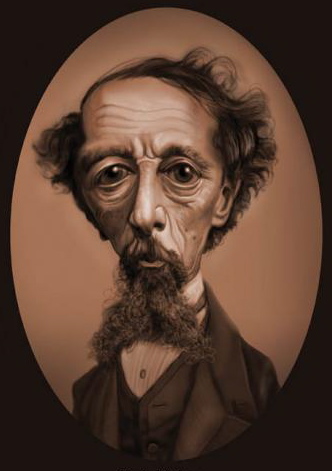 Well let me own up straight away I’m a big fan but I’m aware of the Dickens fatigue that many are feeling as a result of the bicentennial birthday overload. It’s not just the books but also the exploration and exploitation of London that I love. And who couldn’t love an author who gave us Mr Toots, the Cheerybles, the Boffins and Mrs Bangham alongside the more well known Scrooge, Nancy, Micawber and Betsy Trotwood? Anyway I digress I’m down on a soggy Hoo Peninsula battling the rain after putting the final touches to a Dickens themed walk I’m leading for the Metropolitan Walkers on Sunday 6 May. It’ll start at Higham station and meander past Gads Hill Place to Rochester. 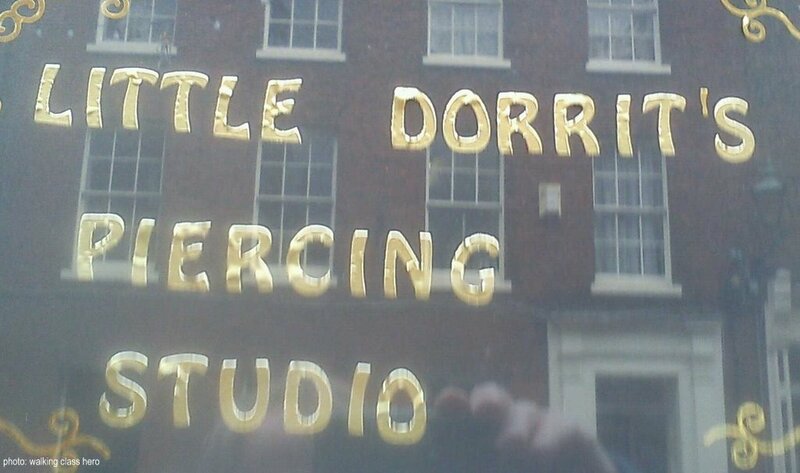 Now Rochester is definitely a place to avoid if you care little for Dickens. He spent some of his childhood just down the road in Chatham and lived in Gads Hill Place from 1856 until his death. As a result the surrounding area is well versed in seizing the commercial opportunities linked to his illustrious name. Fireplace shops named ‘Grate Expectations’ and such like. The Hoo Peninsula is the land separating the estuaries of the Thames and Medway. And Hoo comes from the old English word meaning a spur of land – which sort of makes it the spur of land peninsula. Much of the peninsula lies in one of the Saxon divisions of England called ‘hundreds’: here it is the Hundred of Hoo and how cool does that sound? The geology is dominated by a line of sand and clay hills surrounded by an extensive area of marshland made up of alluvial silt. What this means when you’re down on the ground is that this land is rich in wildlife – particularly birds. 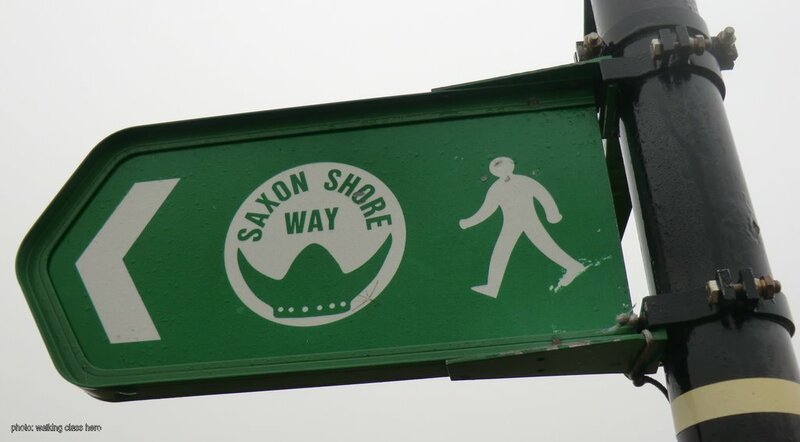 I’d come down from London by train to Gravesend, checked out Pocahontas’ grave, found my way to the Saxon Shore Way and then followed the route onto the North Kent Marshes which carry the many acronyms of protected areas. Under your feet you have a Site of Special Scientific Interest (SSSI) and a Special Protection Area (SPA). As if that isn’t enough, it’s also been designated as a Ramsar site which is a global marque applied to the planet’s most important wetlands. And finally on 27 February this year Caroline Spelman included the area as one of DEFRA’s newly created 12 Nature Improvement Areas (NIA). If weight of alphabet was enough this would be one of the safest areas of land on the globe. Stop me if you’ve heard this one before but we’re about to find out (again) because there are plans afoot to build an airport here. Back in the 1970’s when considering a site in the vale of Aylesbury for London’s 3rd airport one member of the commission suggested nearby to here, Maplin Sands instead. The project would have included not just a major airport, but a deep-water harbour suitable for the container ships then coming into use, a high-speed rail link together with the M12 and M13 motorways to London, and a new town for the accommodation of the thousands of workers who would be required. The Maplin airport project was abandoned in July 1974. The development costs were deemed unacceptable and a reappraisal of passenger projections indicated that there would be capacity at Heathrow, Gatwick, Stansted and Luton, aided by regional airports. 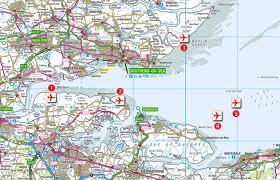 In 2002 the government identified a site at Cliffe on the peninsula as the leading contender among potential sites for a new airport for London. The proposal was for up to four runways arranged in two east-west close parallel pairs, with a possible fifth runway on a different alignment, which might be used only at night and in particular weather conditions. In December 2003 the government decided against the proposal on the grounds that the costs (detecting a theme yet?) of a coastal site were too high, that there was a significant risk that the airport would not be well used and an increased danger of aircraft being brought down by birdstrike. D’oh really?! Now the area faces two further challenges. The Thames Hub, complete with floating runways, proposed by Foster & Partners and Shivering Sands (which sounds like something Captain Haddock would shout) that grew from a feasibility study commissioned by the Mayor of London. Even more worrying is the fact that the Chancellor has thrown his weight behind this sort of vanity project as a way of ‘growing the economy’ out of stagnation. 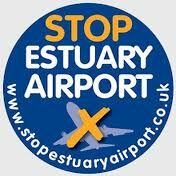 This is just plane stupid, London’s already got 6 airports how many does one city need? And doesn’t the left hand know what the right hand’s doing in this coalition government – one part grants extra protection while another green lights development? George Osborne made his budget statement on 21 March and lost amongst all the proper furore about granny tax and pasty vat is this government’s continuing folly to blelieve they can build their way out of recession. There is still plenty of time to tell them to put environment at the heart of the economy and ditch ridiculous schemes like the Thames Estuary airport. Today I’m heading for the RSPB reserve Cliffe Pools with its huge flocks of wading birds and waterfowl. I don’t keep a list or anything but I have carried a small pair of binoculars with me when I’m out walking for the last 5 or 6 years. I spot some redshanks, quite a few grebe and hear a curlew or two. 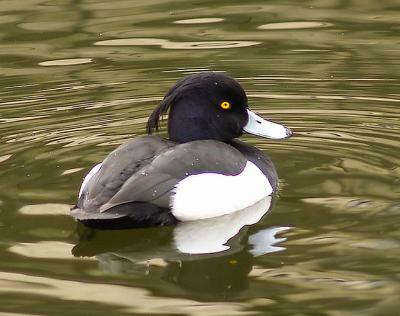 I was hoping to see a Goldeneye (and you just thought that was a Bond film) but didn’t have much luck although there’ve been a few reported sightings lately. I love walks like this. There’s all the history – you wouldn’t be surprised if a Saxon came bowling along the path (well you would but you know what I mean). There’s the celebrity of someone like Dickens – I half expected Abel Magwitch to come hurtling out of the mist. And there’s the wildlife – you don’t have to be an expert to appreciate the sheer scale of the bird migration in the area. The phrase ‘What the dickens’ has nothing to with Charles. 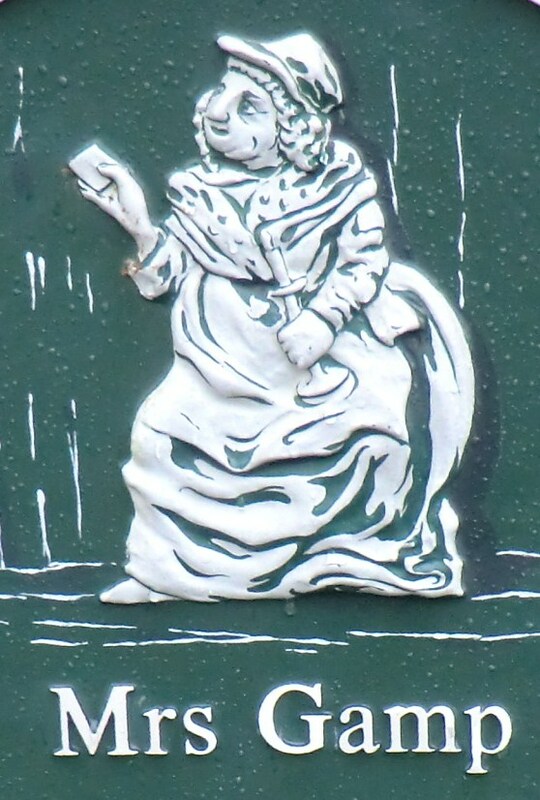 It comes from Shakespeare’s Merry Wives of Windsor – Mrs Page exclaims it about Falstaff – and it’s meant to be in puzzlement/incredulity like ‘what the devil’. I can think of a no more apt phrase when asked about the idiocy of this government’s economic policy and the lunacy of building an airport on the Hoo Peninsula. Did you see the comments over the weekend that the Estuary airport is in the ‘worst place possible’ for air traffic control and none of those pushing the scheme had contacted them about it (see http://www.businessweek.com/news/2012-04-17/lufthansa-struggles-to-dump-bmibaby-unit-as-iag-deal-nears-close)? Another nail on the coffin of a daft idea? Laughable really.